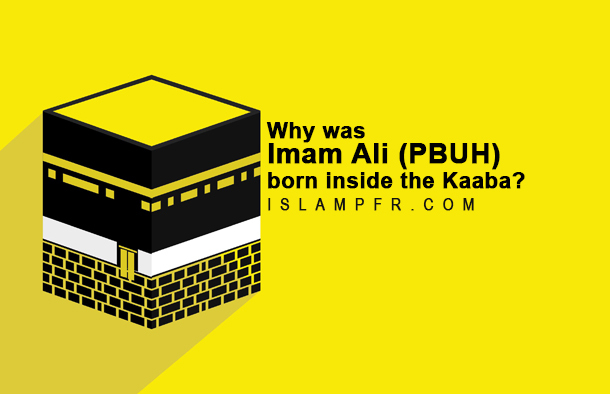 Home Articles	Why was Imam Ali (PBUH) born inside the Kaaba? Suddenly we saw the Kaaba cracked from behind and Fatimah entered there and disappeared from our sight. And the cracks came together and stuck. We went to open the door, but it didn’t open. So, the story of the birth of Imam Ali (PBUH) is a truth which is confirmed not only by Shia but also by Sunni Muslims and is written in details in the precious book of “al-Ghadeer”. Firstly: the matter of the birth of Imam Ali (PBUH) inside the Kaaba is a certain historic issue that is narrated not only in Shia books but also in Authentic Books of Sunni Muslims that are all gathered by Allameh Amini in Al-Ghadeer, as mentioned before. And also not only according to Shia scholars but Sunni scholars the story of the birth of Imam Ali (PBUH) inside the house of Allah (Kaaba) is confirmed by definite narrations. Secondly: although all secrets of this matter are completely known for no one, it is clear in words of scholars of Shia and Sunni sect that this matter (being born inside the Kaaba) is a miracle and a glory for Imam Ali (PBUH) and it is a divine favor and grace which, according to the scholars of Sunni sect like Alusi, Hakim Neishaburi and others, is exclusive for Imam Ali (PBUH) and no one was born inside the kaaba before or after him. And Imam Ali’s (PBUH) word which we mentioned before is more interesting that although prophet Jesus (PBUH) is a prominent prophet, his mother was ordered to leave the Beyt al-Muqaddas at the time of his birth, because it is a place for praying Allah, not a place for deliverance of a child; but at the time of Imam Ali’s (PBUH) birth, his mother, Fatimah Bint Assad, was guided into the Kaaba and was allowed inside it miraculously through the cracks on the wall. But being born inside the Kaaba and martyrized inside the mosque, is a manifestation of his high and great place.